Get started by building an realistic-looking volcano out of papier-mâché and painting it using the provided paints. Then, open up the full-color book to discover hilarious jokes, fascinating facts, and mesmerizing real-world photos! Future geologists are sure to blow their top when they get a load of this crafty science kit! Then, open up the full-color book to discover all kinds of "lavable" volcano jokes plus loads of fascinating facts and real-world photos. 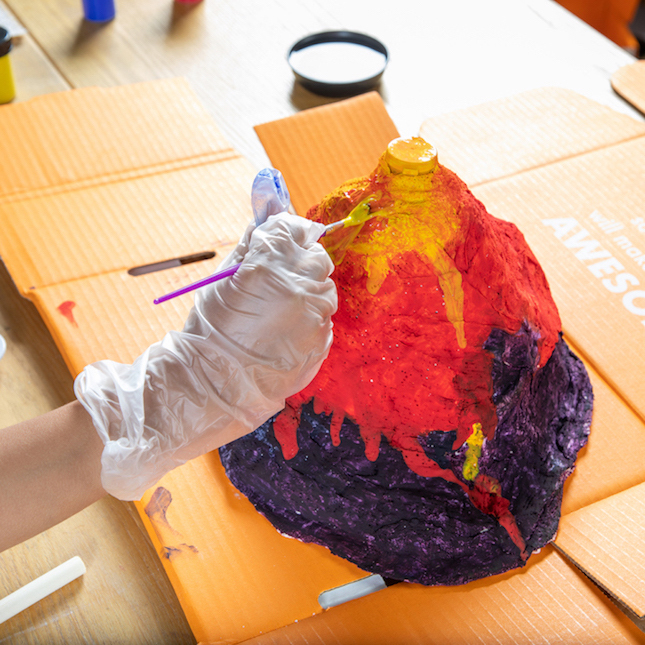 With the Surprise Ride Build and Paint a Volcano Science Kit, young minds are sure to overflow with fascination and wonder! Build and paint a volcano from papier-mâché while learning amazing facts! Great grandson loved it. Had to get another one for four year old great granddaughter. But will have to be supervised.